Swiftkey is a custom keyboard application that comes pre-installed on some Android phones and Apple devices, it is also available for download on the apple store and Google Play Store. This Keyboard application makes typing a lot better and easier with its slide n' predict typing system, unique emojis to express yourself and custom dictionary to learn and store new words from you as a user. News reaching us this week confirms that the popular custom Keyboard application has been acquired by Microsoft for $250 million. 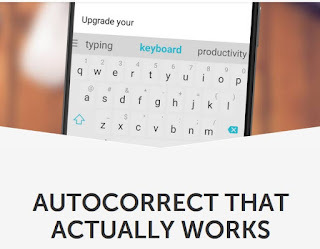 Lets not forget that Microsoft already have it's own custom keyboard app called Wordflow. If your guess is as good as mine, Microsoft must have found SwiftKey as a strong and worthy competitor in the keyboard application race.